One of the old cottages on the property here has a nice passion fruit vine. Am I able to take a cutting from it? I enjoy gardening, but have not ever taken a cutting from anything yet. 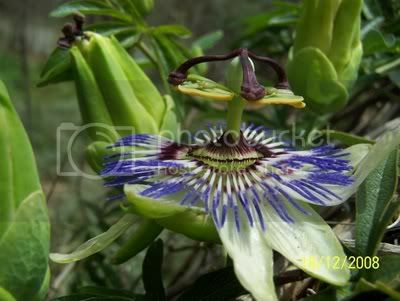 Is it doable from a passion fruit vine??? Last edited by coopslave on Thu Dec 18, 2008 2:22 pm, edited 1 time in total. Yes. But If it produces fruit it is easier to propagate using seed You should find seedlings coming up around it, unless they have been grazed off? Or just squash a ripe fruit into some potting mix- use fresh seed - no need to dry it first. Thanks cackles, I have been looking for seedlings, but we have had such terrible drought here, the big vine has just only hung on (nobody has lived in the cottage so the vine hasn't been cared for). I will keep a closer look beneath it, but I don't think I will have much luck there. 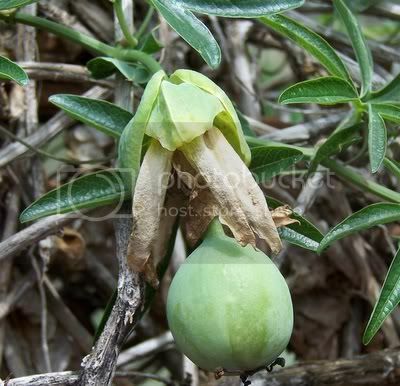 Most passionfruit vines are grafted to better rootstock. Not sure how they thrive when grown from seed...anyone had any problems? Some mornings I wake up grumpy but most mornings I let her sleep in. Thanks everyone, will have to try it I think. Might let the plant recover a bit more. The rain we have been getting here really has made a dead looking vine come back to life. I will start to look after it and take a clipping when I am brave enough. Will have a look on the internet, always think to come here first. Hi Coops, when Ive been a bit iffy about whether something will grow from a cutting, I try to layer it. This is just staking a branch to the soil with a bit of wire and covering it with some more compost or garden soil. what is supposed to happen is that branch will form roots and then you can separate it from the parent plant by severing and digging it up for transplant. If you google layering propagation methods you should find it. 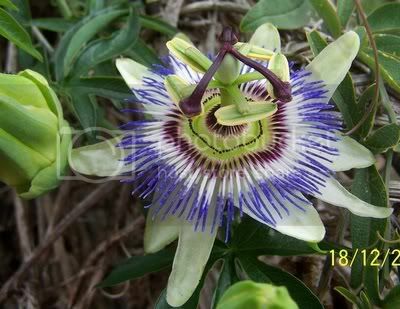 I've planted ordinary bought passionfruit and actually had good results - I just tucked it into the ground and waited. Thanks for all the help. Now that I have been reading a bit I am worried it may be an ornamental one. How do you tell? Sorry, I really know nothing about them except I love eating them!! That sounds like someone I know, chooks and passionfruit is a marriage made in heaven.........if pavlova with passionfruit topping is your idea of heaven. Last edited by Ritavaleimbil on Thu Dec 18, 2008 5:05 pm, edited 1 time in total. Beautiful flowers though! But then, the fruiting variety has nice flowers too. we have an ornamental and the flowers are exactly the same. but the fruit (well not edible fruit) is a fluroescent orange, and the insides are a blood red. its really quit amazing. i just like it for its appearance, the flowers are so intriguing.